A combination of an extra light 1827 Fortner barreled action with the stock of the model 1827. This combination makes the rifle 300 g lighter, the center of gravity is closer to the body. The weight is 3.7 kg. The other functions are equal to the model 1827 Fortner. The straight pull action with repeating device which is reliable at all weather conditions in connection with the match two-stage trigger adjusted to 550 g allows very fast and reliable repeating which results in important seconds for the success. Cold-tested barrels guarantee an excellent shooting performance even at extreme temperatures of -20°C. The rifle is equipped with a special front sight with snow cover, which prevents snow deposits on the sight and which can be opened and closed quickly. 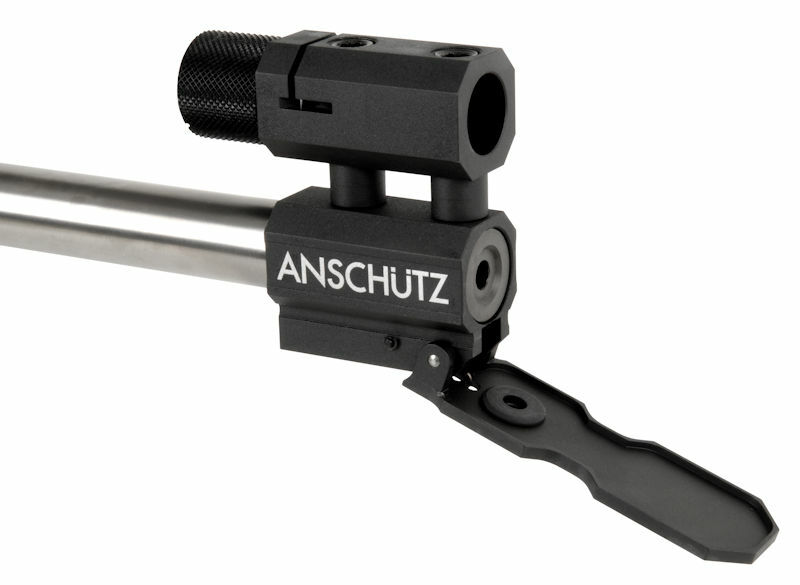 The new ANSCHÜTZ biathlon stock fulfils all requirements of a modern biathlon competition rifle with regard to ergonomics and aerodynamic. Shortened 5-shot magazines were laterally incorporated into the stock to reduce the surface on which the wind can act. 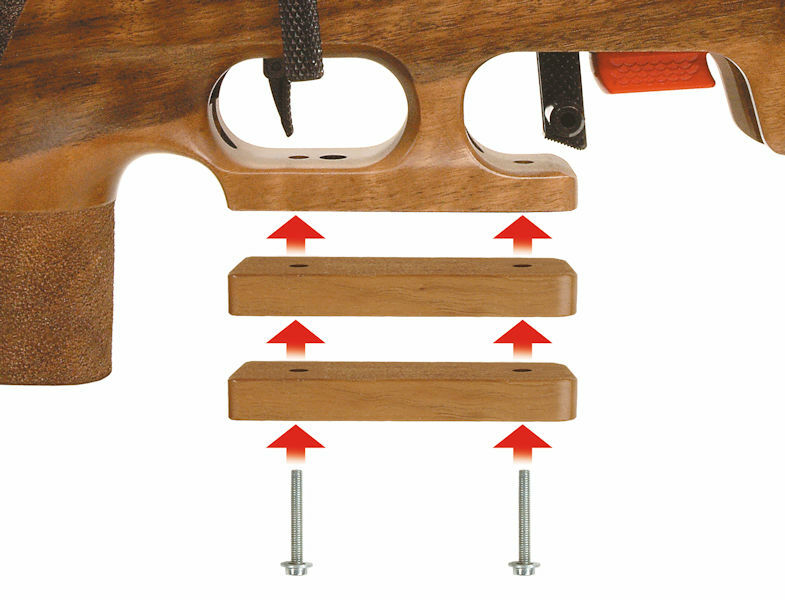 In addition non-slip magazine bottoms make the handling of the loading process easier. 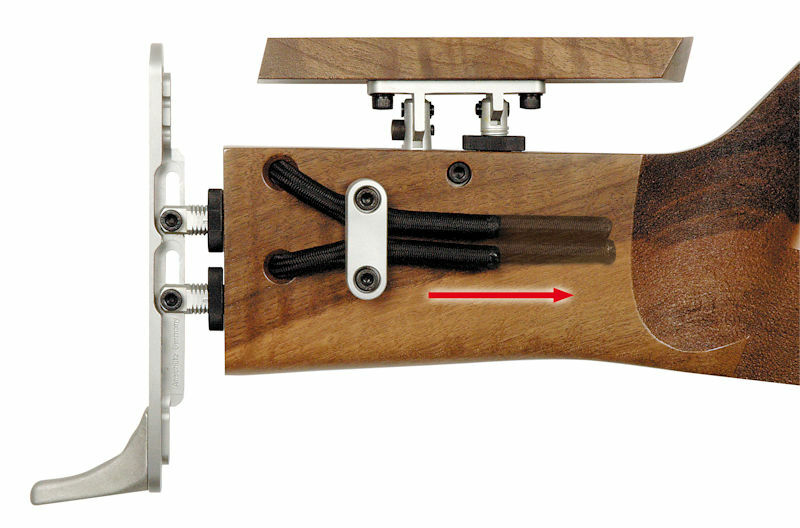 An additional magazine release lever on the side makes an even faster exchange of the magazines possible. To speed the reloading process the extra cartridge box for 6 cartridges has been placed at an ergonomically especially favourable position in the stock. 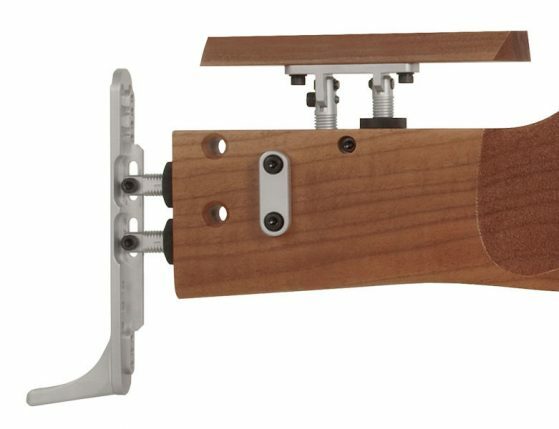 The height of the forend can be adjusted to the individual shooter by two forend raiser blocks to the maximum length of 12 cm allowed by the IBU. A clamping piece in addition makes an individual length adjustment of the harness sling possible. Biathlon front sight 6865, five 5-shot magazines, extra firing pin, adapter for dry firing, 2 raiser blocks, arm sling 4737L, screw driver, Allan key and manual with original test target. NEW GUN LISTINGS ON THIS SITE ARE FOR SALE but ALSO, GENERALLY, FOR ILLUSTRATION PURPOSES. GIVEN THE NUMBERS OF OPTIONS AVAILABLE FROM JUST ABOUT ALL SUPPLIERS IT IS IMPOSSIBLE TO ACTUALLY HOLD STOCK. (The manufacturer don’t do it. The importers don’t do it) As in independent retailer I certainly cannot do it for one company let alone for EVERY company I trade with. I will also 99.9% guarantee that if I have a 28” barrel version you will want a 30”! If I have a .223 Laminate, you will want a .308 Synthetic camouflage!